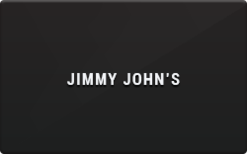 Jimmy John's is a sandwich restaurant chain specializing in delivery. Buy a discounted gift card to save on their delicious sandwich and wraps. Giftcards work like cash so it can be used with coupons and promotions.